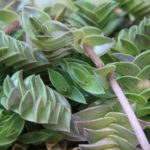 Callisia navicularis is a low growing, trailing perennial succulent. 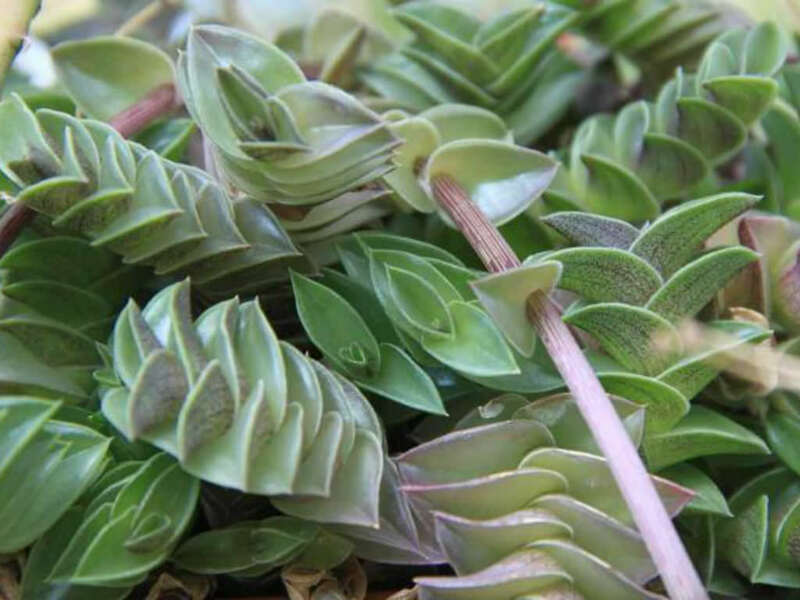 The leaves are very succulent, boat-like, grey-green to viney, up to 1.2 inches (3 cm) long and up to 0.8 inch (2 cm) wide. The flowers are lilac to bright magenta. 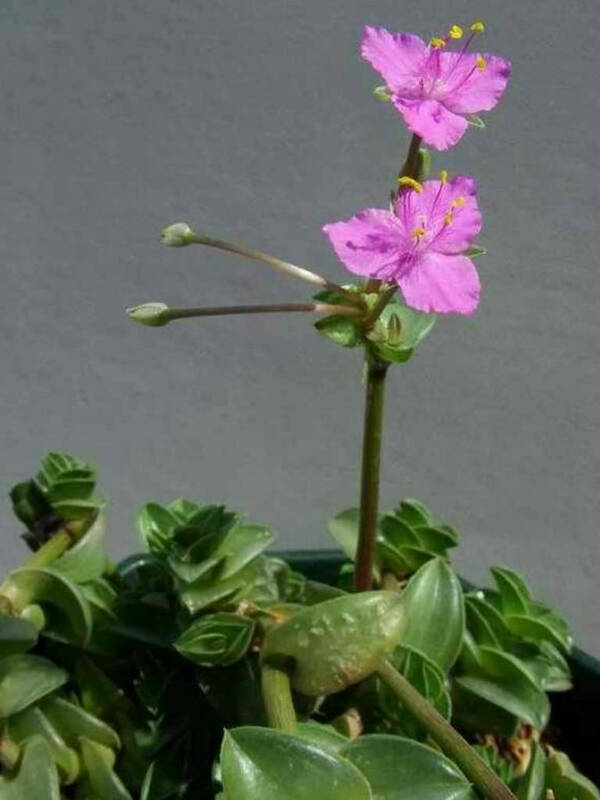 It blooms in summer. The flowers open early in the morning and close in the afternoon, and last only one day. 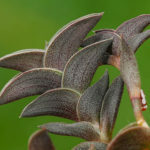 Growing Tradescantia is easy and you will find the plants to be quite resilient. 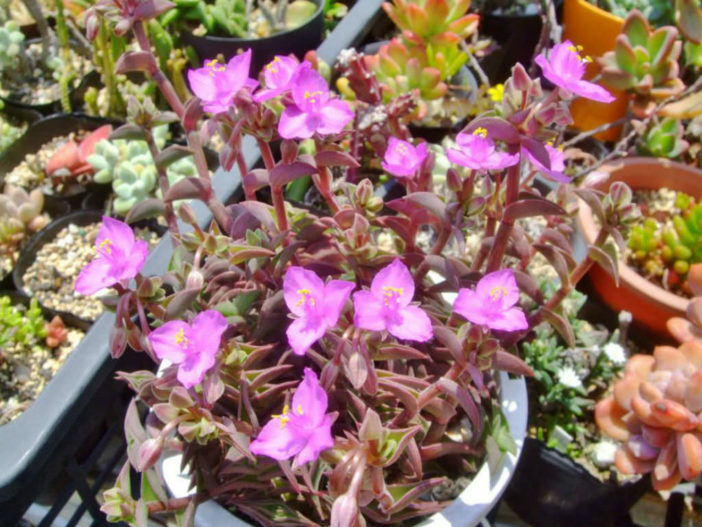 These plants typically grow in moist, well-drained and acidic (pH 5 to 6) soil. Tradescantias do best in partial shade but will do equally well in sunny areas as long as the soil is kept moist. 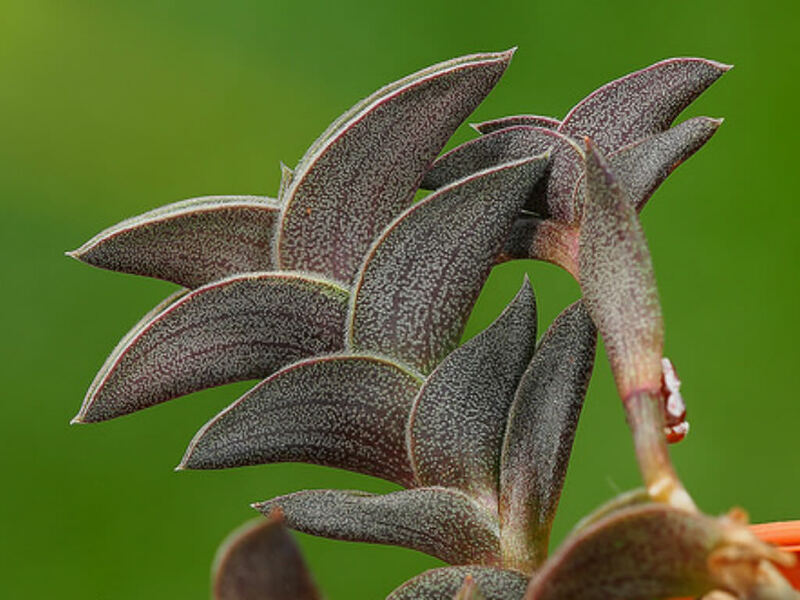 You can grow Tradescantia indoors too as long as suitable conditions are given. Provide the plant with either a soilless mix or loam-based potting compost and keep it in bright filtered light. 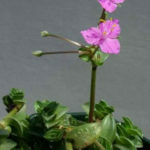 You should also pinch out the growing tips to encourage bushier growth. Allow it to spend warm spring and summers days outdoors, if feasible. During its active growth, water moderately and apply a balanced liquid fertilizer every 4 weeks. Water sparingly in winter.